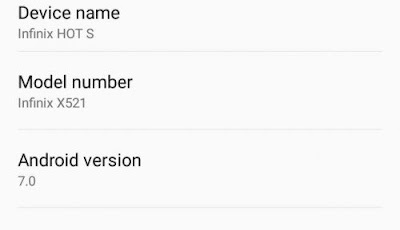 Infinix has been surprising it user with the continues release of Android Nougat (7) OTA updates as promised. There’s been the update for Infinix Zero 4 (X555), Infinix Hot 4 (X557), Note 3 (X601-H536A1) and Note 3 Pro (X601-H537A1) which have received their test Nougat builds and now come the Hot S (X521) but only for the following variant A1C1 & E1G1 Build Numbers . 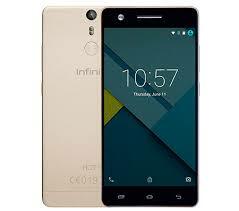 The Infinix Hot S (X521) has several builds just like the other infinix ranging from the A1, C1, E1, G1 to the I1. 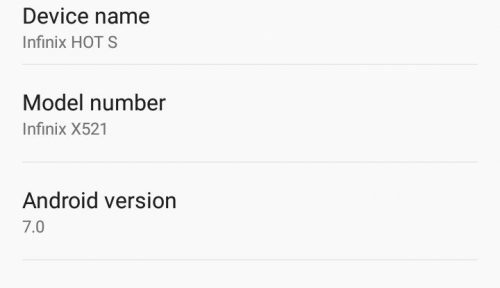 If you’re looking to install this Nougat update then ensure your Build Number matches else you could end up with a bricked phone. warning: always backup your valuable data eg Contact, Sms and Media files encase something went wrong during the upgrade.